Collone YFC held their table quiz on Monday 5th March 2018. There was a great turnout for the event. 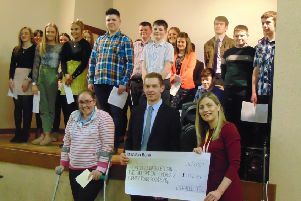 Mountnorris Young Farmers' Club won the apple challenge and came first overall. The club also came second. Meanwhile, Cappagh YFC were placed in third.